Teeth whitening is very popular and can also be considered the norm these days. You can see a lot of teeth whitening products everywhere: from toothpastes to dental procedures. People do it because a whiter teeth makes your smile look many times better, hence, making them look better. 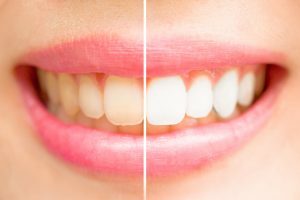 Before you go and join the bandwagon, there are a few things you should know about tooth whitening. The common misconception is that teeth whitening removes the protective layer of enamel on your teeth, which is yellowish in color. This is only partly true. The yellow color of our teeth is caused by aging as well as by stains caused by smoking and drinking coffee and soda. There are 2 main types of teeth whitening: intrinsic and extrinsic. Intrinsic whitening involves whitening of the dentin using a bleaching gel, the part of the teeth that turns yellow as we age. Extrinsic whitening is done by removing the stains with professional cleaning or with other products. What are the different teeth whitening methods? Teeth whitening toothpaste. This lightens your teeth because it removes the tooth stains during brushing. It is recommended though to not use it more than once a week to prevent thinning of the enamel layer and to avoid teeth sensitivity. Professional teeth whitening. This is a fast method and a safe one because a dentist knows what’s best for your teeth. Teeth whitening trays or teeth molds. These are made by your dentist and after applying hydrogen peroxide on them, you can put them in your mouth for a few hours or overnight to take effect. They last longer than other whitening methods. Teeth whitening strips. These are available in drugstores and you can attach them on your teeth. The downside is that the whitening may appear uneven. Before trying any whitening product, do your research and consult your dentist to avoid unwanted results. Learn more here about over the counter versus professional whitening at Dr. Voyles office.